And while they were ministering to the Lord and fasting, athe Holy Spirit said, “Set apart for Me Barnabas and Saul for the work to which I have called them.” Then, when they had fasted and prayed and laid their hands on them, they sent them away. Liturgy means, “the work of the people,” but that definition gives little insight into why we do liturgy and why it is important. Liturgy is an ordered service of worship that includes the reading of the Word, the preaching of the Word, and the experience of the Word (i.e., Holy Eucharist): these elements bring us, the people of God, into the presence of God. The liturgy ushers us into the presence of God, so that, we might encounter afresh the death and resurrection of Jesus Christ. We are liturgical because it is ancient, holy, participatory, cross-centered, and God-centered. Liturgy develops a consistency in our worship, discipleship, and spiritual growth. Liturgy is is not an end in itself, but an ancient pattern of worship that magnifies Christ and his finished work on the cross. At the church where I serve, we kneel to confess our sins. We chant a Kyrie, the Sursum Corda, and many of the ancient canticles of the church (Te Deum,Gloria) as part of our musical ascent into God’s presence. We use Collects, sing the Lord’s prayer each week, say or sing a creed. 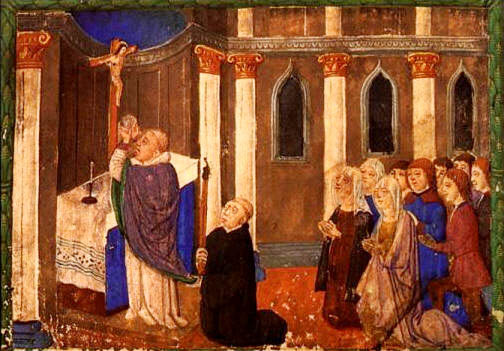 The pastors who lead worship wear white robes and stoles whose colors change with the liturgical seasons. We have seasonally-colored paraments on the pulpit and table. 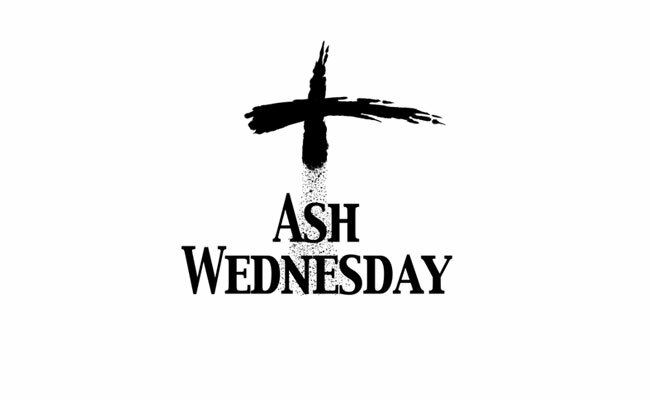 We are coming to the end of a Lenten season, and we will be telling people over the next several weeks that we are still celebrating Easter, and then we will have an Ascension service. We believe that all of these practices are biblically-based and edifying for the church. We believe it is better for a liturgical minister to be marked with a white robe than for him to be dressed in a suit or a Genevan black gown, better to observe the church calendar than not. These practices are not a matter of taste or merely for aesthetic appeal (though they have their aesthetic appeal), nor are they mere window-dressing. Though we don’t think that white robes or observing the church seasons or chanting are of the esse of the church, we believe that they promote the bene esse of the church. We think these are means for deepening the worshiper’s and the church’s encounter with the Triune God. This entry was posted in Liturgy and tagged Liturgy on April 12, 2012 by GlennDavis. When he [Jesus] was at table with them, he took the bread and blessed and broke it and gave it to them. And their eyes were opened, and they recognized him. And he vanished from their sight. Fr. Walter Ciszek was truly a saint of God. Called by the Holy Spirit to be a missionary to the Communist state of the Soviet Union, Ciszek deliberately entered Russia for the purpose of reaching prisoners with the gospel of grace. From 1939 and 1963, he toiled in various prison camps of the Gulag. Ciszek’s memoir, He Leadeth Me, was my Lenten reading two years ago, it is a book I will read again and again. The quote below is a beautiful depiction of Holy Eucharist being provided in the most difficult of circumstances to prisoners who count the Body and Blood most precious. 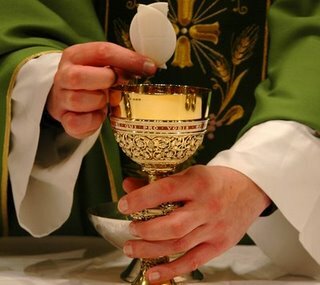 No beautiful vestments, no towering cathedrals, no gorgeous vessels, etc., just the precious presence of our Lord and Savior in the bread and wine. When I reached the prison camps of Siberia, I learned to my great joy that it was possible to say Mass daily once again. In every camp, the priests and prisoners would go to great lengths, run risks willingly, just to have the consolation of this sacrament. For those who could not get to Mass, we daily consecrated hosts and arranged for the distribution of Communion to those who wished to receive. Our risk of discovery, of course, was greater in the barracks, because of the lack of privacy and the presence of informers. Most often, therefore, we said our daily Mass somewhere at the work site during the noon break. Despite this added hardship, everyone observed a strict Eucharistic fast from the night before, passing up a chance for breakfast and working all morning on an empty stomach. Yet no one complained. In small groups the prisoners would shuffle into the assigned place, and there the priest would say Mass in his working clothes, unwashed, disheveled, bundled up against the cold. We said Mass in drafty storage shacks, or huddled in mud and slush in the corner of a building site foundation of an underground. 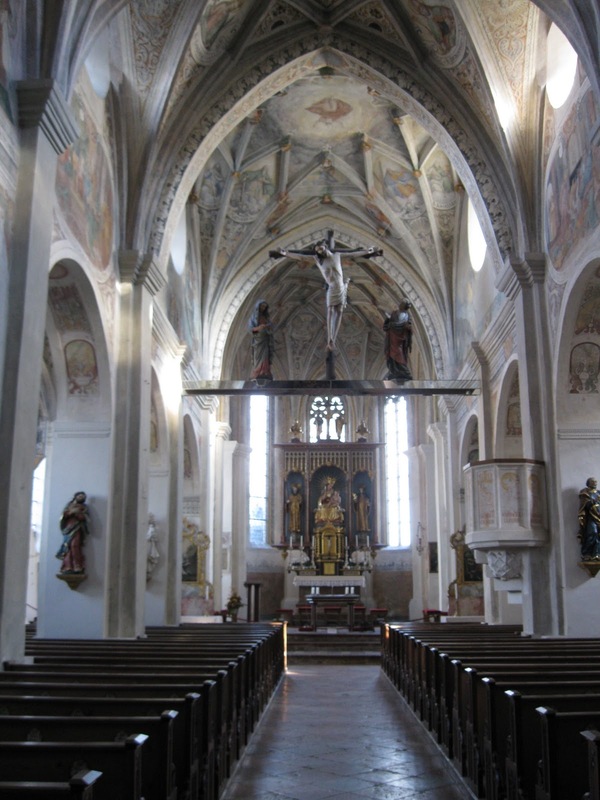 The intensity of devotion of both priests and prisoners made up for everything; there were no altars, candles, bells, flowers, music, snow-white linens, stained glass or the warmth that even the simplest parish church could offer. Yet in these primitive conditions, the Mass brought you closer to God than anyone might conceivably imagine. The realization of what was happening on the board, box, or stone used in the place of an altar penetrated deep into the soul. Distractions caused by the fear of discovery, which accompanied each saying of the Mass under such conditions, took nothing away from the effect that the tiny bit of bread and few drops of consecrated wine produced upon the soul. Many a time, as I folded up the handkerchief on which the body of our Lord had lain, and dried the glass or tin cup used as a chalice, the feeling of having performed something tremendously valuable for the people of this Godless country was overpowering. Just the thought of having celebrated Mass here, in this spot, made my journey to the Soviet Union and the sufferings I endured seem totally worthwhile and necessary. No other inspiration could have deepened my faith more, could have given me spiritual courage in greater abundance, than the privilege of saying Mass for these poorest and most deprived members of Christ the Good Shepherd’s flock. I was occasionally overcome with emotion for a moment as I thought of how he had found a way to follow and to feed these lost and straying sheep in this most desolate land. So I never let a day pass without saying Mass; it was my primary concern each new day. I would go to any length, suffer any inconvenience, run any risk to make the bread of life available to these men. Walter Ciszek, S.J., He Leadeth Me (San Francisco: Ignatius Press, 1995). This entry was posted in Fr. Walter Ciszek, Holy Eucharist, Liturgy, Roman Catholic Church and tagged Fr. Walter Ciszek, Holy Eucharist, Liturgy on December 3, 2010 by GlennDavis. Why does silence and quiet make us so afraid? Why do we drown out the stillness with all our electronic gadgets? Why do we feel so awkward during a still moment during a Sunday morning service of worship? Could it be that we are afraid that God might actually speak? (Ps. 42:10) Are we nervous about what he might say to us? What issues he might correct in our hearts? What commands he might give? Are we concerned that he might embarrass us with an outpouring of his love? Silence often reveals the anxieties, worries, and fears buried deep within the recesses of our hearts. Silence has long been a characteristic of the Church’s worship. Leaving room in a service of worship for God to speak personally and corporately should be the goal of every worship leader. The pregnant pause in a worship service could be the very moment the Holy Spirit comes in power (Rev. 8:1). There’s silence between various aspects of the service. I encourage service leaders to NOT do the “no-dead-airspace” TV standard of busy-ness. We LIKE “dead air space.” “Dead air space” gives us time to reflect. To collect our thoughts. To consider what we’ve just heard or read or sung. The silence amplifies the words or music we’ve just heard. It allows us time to take it all in, and to pray. We have silence to prepare ourselves. We have silence between the announcements and the scriptural call to worship. We even have a moment of silence AFTER the service! I pronounce the benediction from the end of II Corinthians, invite the congregation to be seated. And then, after about a minute of silence, the pianist begins quietly playing the last hymn that we had just sung. During those few moments, we reflect and prepare to speak to others and depart. We do business with God. We prepare ourselves for the week ahead. Why do we need this silence? We silence ourselves exactly because God has not kept silent. We silence ourselves in order to hear God speak in His Word (Deut. 27:9) We silence ourselves to show our assent to God’s charges against us (Ps. 39:9). We silence ourselves to show respect and obedience and humility and restraint (Zeph. 1:7). We silence ourselves to search our hearts (cf. Ps. 4:4). Not only are we to make a joyful noise unto the Lord (Psa. 66:1-2), but we are also called to wait in his presence (Psa. 37:7). We quiet ourselves because the one who is worthy of all worship speaks and there is no sweeter voice that that of our Lord (John 10: 1-5). In the hustle and bustle of life, we must make silence an important part of our individual and corporate worship. Read Mark Dever’s entire essay at the IX Marks website. This entry was posted in Liturgy, Worship and tagged Liturgy, Silence, Worship on July 21, 2009 by GlennDavis. Ancient worship . . . does truth. All one has to do is to study the ancient liturgies to see that liturgies clearly do truth by their order and in their substance. This is why so many young people today are now adding ancient elements to their worship. . . . This recovery of ancient practices is not the mere restoration of ritual but a deep, profound, and passionate engagement with truth-truth that forms and shapes the spiritual life into a Christlikeness that issues forth in the call to a godly and holy life and into a deep commitment to justice and to the needs of the poor. This entry was posted in Liturgy, Robert E. Webber, Worship and tagged Liturgy, Robert E. Webber, Worship on January 6, 2009 by GlennDavis.